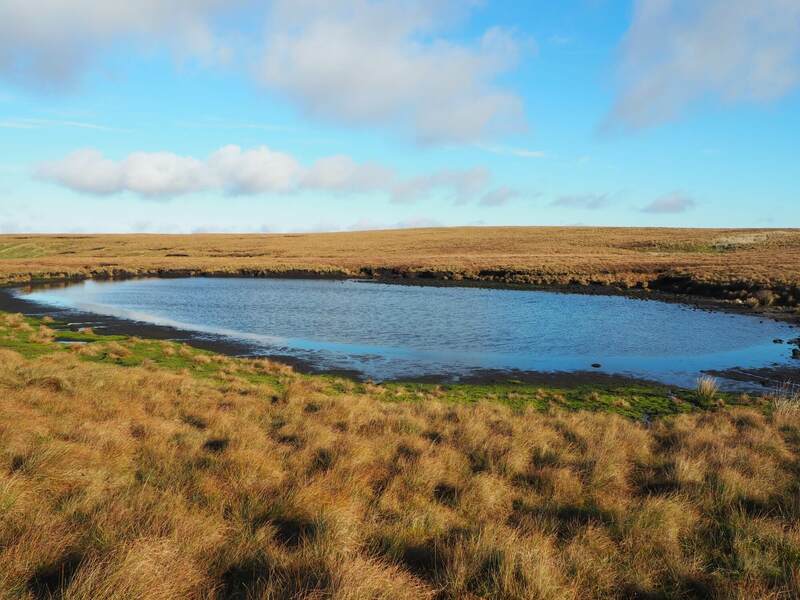 Satron Tarn, situated between Oxnop Scar and the much larger Summer Lodge Tarn, is one of the smallest named tarns in the Yorkshire Dales. Indeed it is so small that my friend and I almost missed it completely as we were making our way from Oxnop Common across to Summer Lodge Tarn. 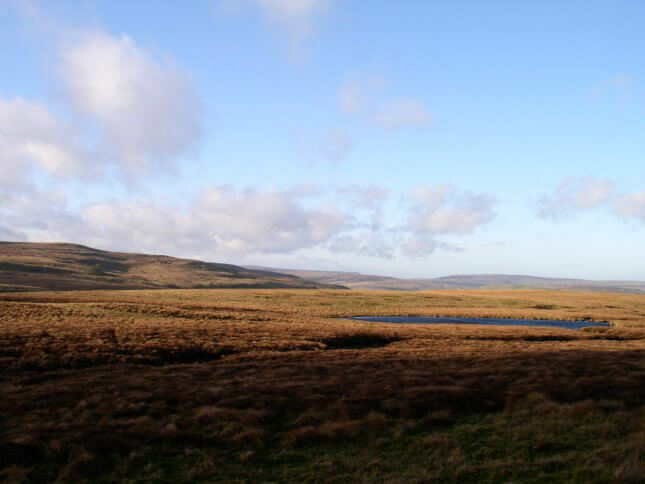 This was back in early 2007 and I can’t even remember now if we bothered making the short detour from our route to visit the tarn. Certainly the only photo of Satron Tarn I took (above) would suggest that we did not – probably because we were eager to press on to Summer Lodge Tarn and our planned lunch stop. 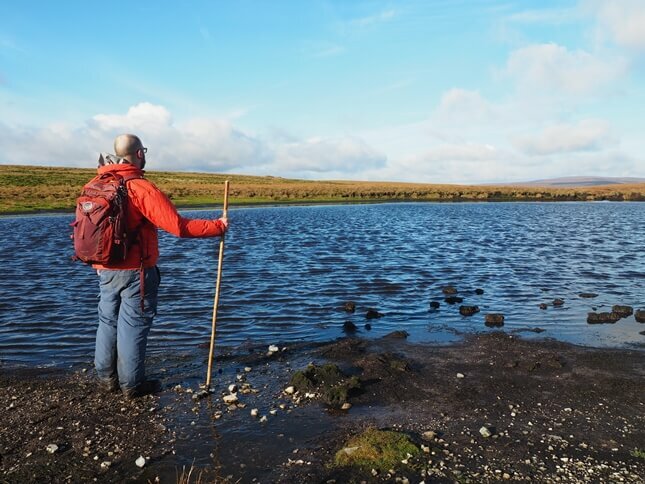 It was to be over ten years before I was to visit the tarn properly for the first time. Making my way from Summer Lodge Tarn I found it to be a pleasant little tarn with a peaty beach. From a distance it looked like there were a number of rocks scattered about the eastern shore of the tarn. 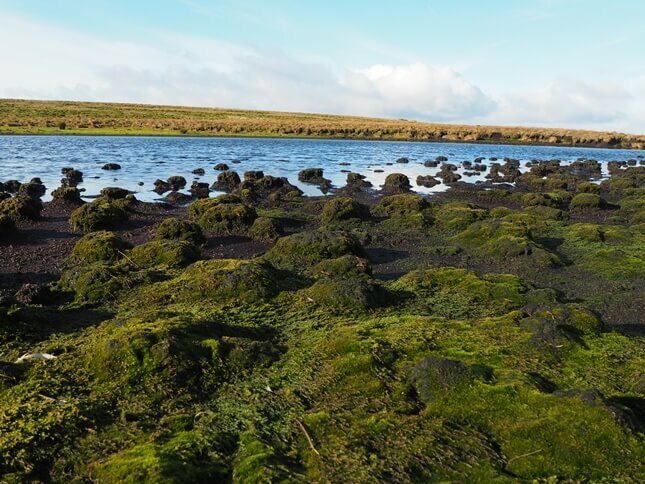 On closer inspection these turned out to be unusual clumps of eroded peat.